Successful career goals for managers require that we constantly improve ourselves, whether it’s how to increase productivity, run our meetings, or manage our teams. The good news about always improving is that we end up with super skills that would require others years of experience to achieve. But surprisingly, our quest for improvement can actually prevent us from getting that next promotion. Sounds backwards, doesn’t it? After all, we’ve been taught from an early age that improvement is one of the most important keys to standing out from the crowd. Indeed, this is true. But consider this example. You’re a wiz at planning and running meetings. No one in your organization can do it like you, as you’ve perfected meetings to an art - from creating reader-friendly agendas and accommodating all of the participants to following up on the open issues. In fact, when someone in your organization wants to hold a high-stakes meeting, you’re the address. Of course, you weren’t born with these meeting super skills. You’ve been perfecting them, bit by bit, for years now. And the more compliments you’ve received over the years, the more energy you’ve put into becoming the company’s resident Meeting Meister. But let’s consider for a moment what being Meeting Meister might actually have cost you. While you were investing time perfecting l’art du meeting, were you perhaps denying other talents and skills from emerging? For example, what about that side of you that likes to sit alone and come up with crazy ideas? When was the last time you gave yourself the time and space to just brainstorm? Or have you only allowed such ideas to come up within the framework of a well-oiled meeting? My point here is that in pursuing improvement, sometimes we find ourselves stuck in certain managerial patterns, earning titles such as “the best at”, often at the expense of developing innate talents we’ve inadvertently muzzled. If it were our only goal to remain, for example, the Meeting Meister, then this wouldn’t be a problem. But it is, because decision makers want to see well-rounded managers, not just specialists. 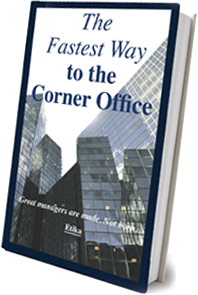 And so those managers who are simply known as “the best at…” are eventually left behind, sentenced to life in Middle Management Land. Preventing such a life sentence requires developing your innate potential so that you can strive towards well-roundedness. I wish there were a magic formula to find out what your potential is, but alas, there isn’t. Nevertheless, no need to despair because there is a surefire way of finding out what your potential is on your own: give it time and space. Once you let your potential out to breathe, it’ll blossom and become a natural way of shaping how you do things. I’ll give you an example. Let’s go back to the Meeting Meister. Remember that they are good at planning meetings and making sure everyone participates. But what would happen if the Meeting Meister exercised a more “entrepreneurial spirit” and called an impromptu gathering, limiting the time people could speak? One outcome I’m familiar with is that more ideas might be generated in a shorter timeframe. And as far as the Meeting Meister is concerned, this would naturally feed into their innate talent of quick brainstorming. So the result here is both a Meeting Meister and an entrepreneurial type of manager, all rolled into one - a much more well-rounded candidate for promotion. Again, I can’t provide a one size fits all solution for everyone, but if you begin by reducing some of the habits that come most naturally to you, you’ll begin to discover hidden potential you’ve had all along. 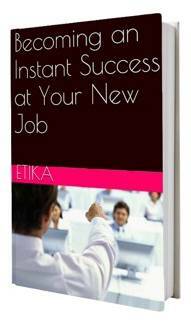 - Successful career goals for managers include constant improvement. we just have to find it. 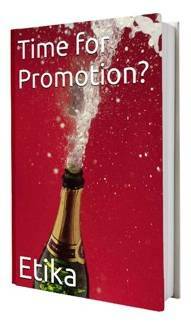 - A well-rounded manager always tops the promotion list.